Clayton can claim to house the only moated building to survive in the Manchester area and dating from the 12th century, Clayton Hall was the seat of the Byron’s and latterly of Humphrey Chetham. 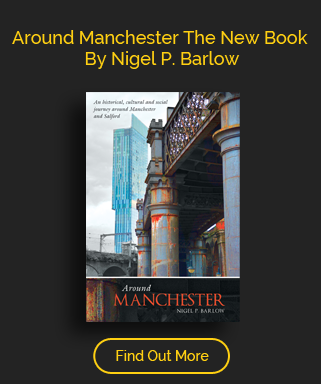 Once set in lush countryside East of Manchester, the area was quickly industrialised and now forms part of the conurbation bordering the Etihad Stadium redevelopment, it has benefited in recent years from East Manchester’s regeneration. The only moated building to survive in the Manchester area and dating from the 12th century, this was the seat of the Byron’s and latterly of Humphrey Chetham, rebuilt, saved from demolition and now opened as a Victorian living history museum every fourth weekend by a group of extremely dedicated enthusiasts. Under its original owners the Clayton’s the Hall illuminated this land, three miles east of Manchester during the 12th century, but the lands soon passed to the Byron dynasty as Sir Roger de Buron married Cecilia, daughter and heiress of Sir John Clayton. 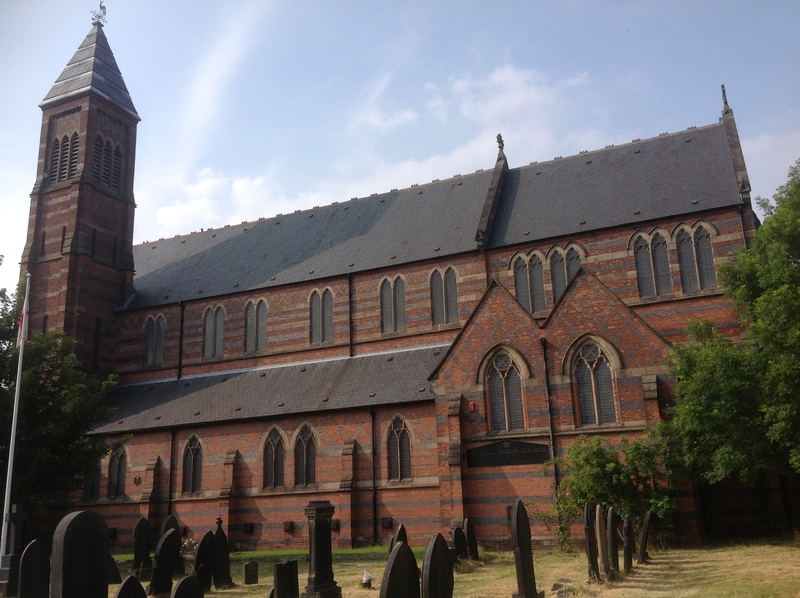 The Byrons could trace themselves back to the time of the conqueror when Hugh de Buron is mentioned in the Domesday book as owning lands in Nottinghamshire and Derbyshire. He may well have journeyed with William across the Channel having originated in the Normandy village of Beuron. The Byron’s lived here until they sold it to two London merchants, George and Humphrey Chetham in the sixteenth century, the later would be famous for founding Chethams School and Library in the centre of Manchester. Clayton’s history would follow that of much of this part of East Manchester with heavy industry moving in. 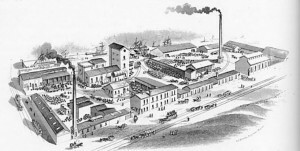 Among its biggest employers would be the Clayton Aniline Company established in 1876 on the banks of the Ashton Canal. At its peak it covered fifty seven acres, becoming the largest single manufacturing location of any company in Manchester and employing over 2,500 people. The Company closed in 2007 and the site was demolished.